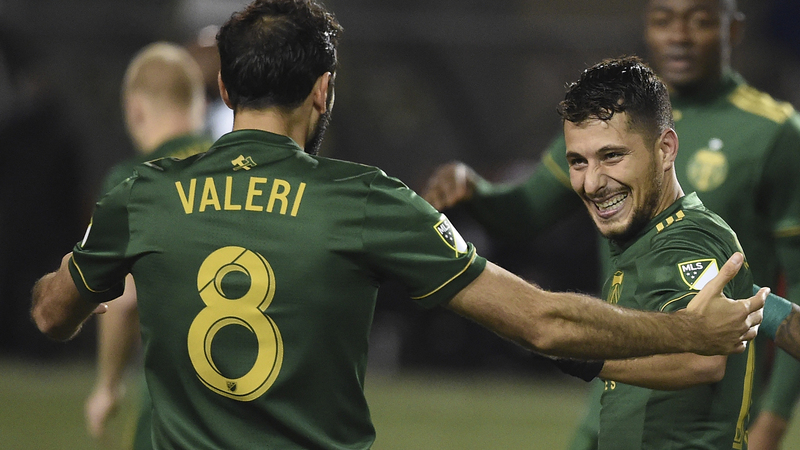 The Portland Timbers moved into the MLS Western Conference Finals with a thrilling penalty shootout win Thursday over the host Seattle Sounders. Raul Ruidiaz's brace helped the Sounders to a 3-2 win after extra time in the second leg at CenturyLink Field, but that was only enough for a 4-4 draw on aggregate. Sebastian Blanco and Dairon Asprilla twice had the Timbers on track before a Nicolas Lodeiro spot-kick led to a shootout. Portland managed to hold its nerve, Asprilla sealing a 4-2 triumph on penalties. After a cagey first half, Timbers goalkeeper Jeff Attinella spilled a cross and Ruidiaz swept in from inside the area in the 68th minute. However, Portland responded 10 minutes later through Blanco. The midfielder rifled a fine effort into the bottom-left corner from 20 yards after receiving a pass from Asprilla to put the visitors on the verge of progressing. But Blanco went from hero to villain in the third minute of second-half stoppage time, his poor defensive header falling for Ruidiaz to volley in and force extra time. The rollercoaster clash continued as the teams exchanged goals in the opening seven minutes of the first added period. Asprilla headed in a Diego Valeri cross to restore the Timbers' aggregate lead, only for Lodeiro to respond from the spot after Blanco's handball in the area.
.@TimbersFC strike first in extra time! Ruidiaz thought he had a hat-trick — and the winner — in the 113th minute, but his goal was ruled out after he was deemed to have handled the ball. There were bizarre scenes at the end of extra time, with several Portland players appearing to celebrate, seemingly unaware penalties were to follow. The first blemishes in the shootout came from the Sounders, Will Bruin hitting the post and Osvaldo Alonso having a tame penalty saved before Asprilla sent the Timbers through.